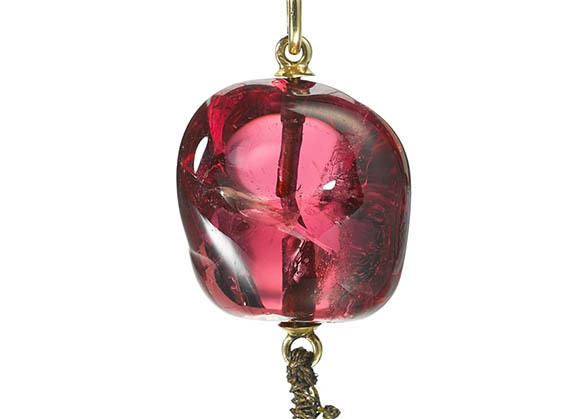 A 17th century spinel pendant once worn by Mughal emperors — and then mistaken 90 years ago as a worthless bauble — sold at Sotheby’s London last week for $353,800. The stone was scooped up by railroad employee Joseph H. Wade, who, believing the gem was worthless glass, gave it to his twin children to play with. The spinel was returned to its rightful owner two weeks later after Pole placed an ad in a local paper. The newspaper account said the gem was found “with considerable difficulty” in the corner of a room “where it had been flung by the children.” The article placed the value of the gem at $25,000. Sotheby’s believes the rare gem may have been gifted to Mrs. Pole by her daughter, Dorothy, who lived with her diplomat husband in India from 1921-1929. 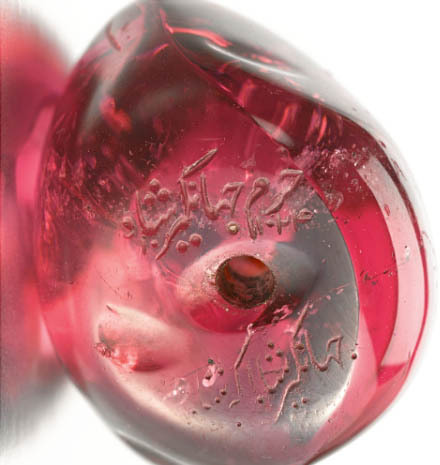 The spinel is inscribed with the names of Emperors Jahangir, Prince Khurram and Alamgir Aurangzeb, illustrating a common practice among Mughal emperors of marking the stones and passing them on to their descendants. Two dates are also shown — 1615 AD and 1670 AD. Sotheby’s noted that spinels were mined in Badakhshan, the region between Afghanistan and Tajikistan. 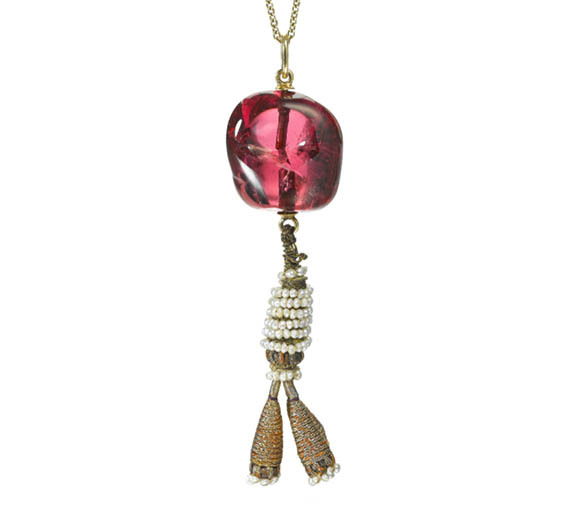 Before the 19th century, spinels were often mistaken for rubies. Sotheby’s London had set the pre-sale estimate for the piece at £60,000 ($77,600) to £80,000 ($103,400). A private collector placed the final bid at £272,750 ($353,800), or 340% of the high estimate.